Wow! 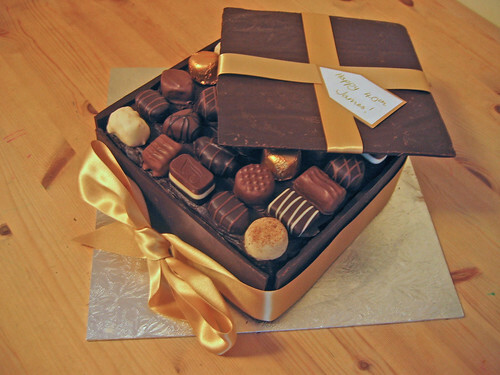 Every chocoholic’s absolute dream – a box of chocolates and chocolate cake all in one! From £75. I was thrilled with this cake. Stunning and soooooo tasty. Many,many thanks!